Fish like salmon are born in fresh water streams and rivers. When the time comes for them to breed, they return to the stream of their birth to lay eggs in the same spot where they were born. To accomplish this, they must swim upstream against the current or flow of the stream. 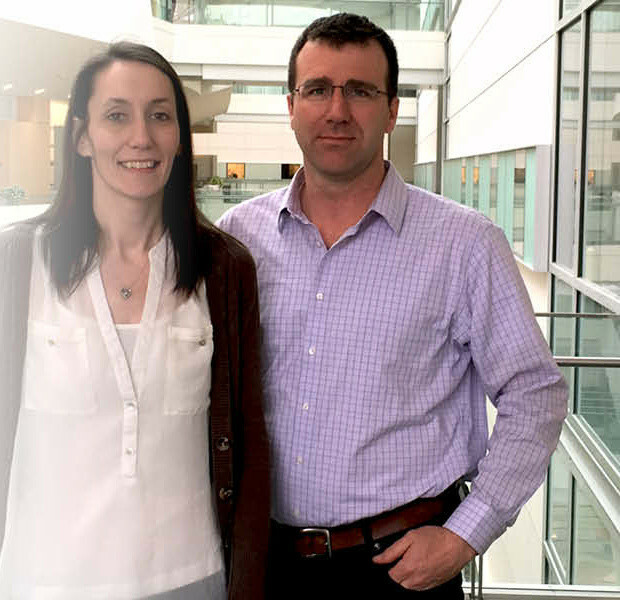 Taking a page out of the salmon DNA playbook, University of Michigan scientists Peter Todd, MD, PhD, and postdoctoral fellow Jill Haenfler, Ph.D., are exploring unchartered waters to find a cure for Fragile X Syndrome. The researchers are adapting CRISPR research to reactivate the FMR1 gene, which provides instructions for making a protein called FMRP — needed for normal brain development. CRISPR, pronounced “crisper”, is a new and innovative technique to cut and paste DNA in human cells. For their efforts, FRAXA is awarding the researchers $90,000 in a post doctoral fellowship grant over two years to reactivate FMR1 in Fragile X Syndrome stem cells. New developments in patient derived stem cells at UM’s MStem Cell Laboratories are at the core of their research. Todd said their research goal is to create new knowledge and approaches. If all goes well, the research will transition into more complicated systems within the next two years. After completing neurology residency, Dr. Todd came to the University of Michigan, where he joined the U-M faculty in 2010 as an assistant professor in Neurology. His other research is focused on Fragile X–associated tremor/ataxia syndrome (FXTAS), an “adult onset” neurodegenerative disorder typically affecting males who have a shorter repeat in their Fragile X gene. 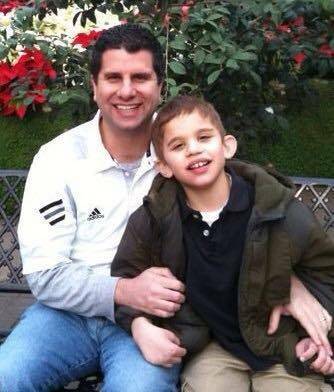 His studies on FXTAS led him back to Fragile X Syndrome and trying to think of new approaches to this currently untreatable disease. As a neurologist, he sees adult patients with both Fragile X Syndrome and FXTAS at the University of Michigan Fragile X Clinic, which he co-directs. Just like swimming up stream.